Apple had a relatively quiet 2013, especially from a product perspective. While the company did update most of its devices, those developments, with the exception of the Mac Pro, were largely incremental. However, two moves did stand out: the transition to a free model with software like OS X, iWork and iLife and the unusually high rate of acquisitions. Apple updated all of its product lines this year, but it was the Mac Pro that got the biggest overhaul. Announced at WWDC in June, Apple took several more months to bring the device to market, releasing it with just over a week to spare before the end of the year. With its smaller, black and cylindrical form factor, the new pro-grade Mac is almost a polar opposite from its former boxy, ‘cheesegrater’ look. Most reviewers have been wowed by the new design and performance boosts, but the general consensus is that software isn’t quite ready to take advantage of it. 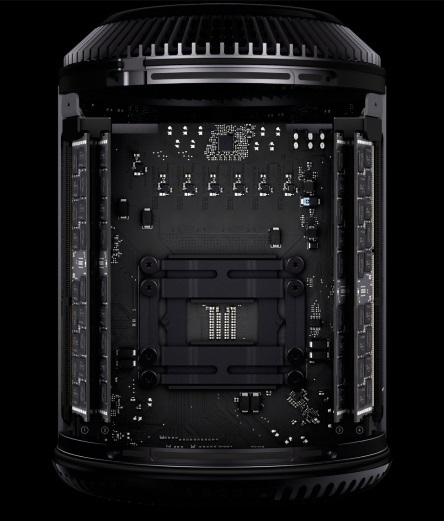 There’s also that pesky $2,999 price tag, but chances are you’ve got some money to spend if you need the Mac Pro. Also at WWDC, Apple announced a new MacBook Air model with an impressive 9-12 hours of battery life. Made possible with Intel’s latest chips, the 2013 MacBook Air represents a huge jump in usability because it can potentially last all day on a single charge. The Retina MacBook Pro line got a minor refresh in October. Apple has generally kept major iPhone design changes on a 2-year cycle, and 2013 was an off-year. The new iPhone 5s did include a TouchID fingerprint sensor and an improved camera, but it looks largely the same as the iPhone 5. While Apple released a long-awaited additional phone model – the iPhone 5c, it was priced higher than expected. The device does appear to have sold well, but it hasn’t broken any new ground for the company. In the long run, Apple’s strategy should pay off as people become familiar with the lineup, but it will keep the iPhone as a premium device in emerging markets. In October, Apple held its annual iPad launching event, announcing the significantly lighter iPad Air and a Retina Display version of the iPad mini. The iPad represents a big step in Apple’s vision for tablets, but it’s still a step in the same direction the company has been headed in for the past three years. The Retina iPad mini addresses the main complaint that users had with the first generation version, though the consensus is that the new display isn’t quite as accurate as that of the full-size iPad. In all seriousness, changes to a familiar user experience are jarring, and Apple’s leap was bound to cause a stir. Most complaints seem to have quieted down as people have become accustomed to the new look, or at least begrudgingly accepted it. New features like the Control Screen and AirDrop have made iOS easier to use, and the platform is better off for the update, even if you don’t agree with the design decisions. When we first moved to touchscreen mobile devices, skeuomorphic designs provided reference points for how to conceptualize and use these new interfaces. Now that most of us have spent a few years with the OS, Apple felt it was time to get rid of them since we can understand the interactions on their own without relying as heavily on metaphors from the physical world. The best part about the update is the resulting increase in app quality, part due to the ditching of tired ornamental design elements in favor of clean, flat interfaces. Developers quickly took advantage of the shift in design language to rework their own offerings, so the ecosystem became noticeably more mature almost overnight. The iOS 7 look and feel has grown on me over the past months, but there are a few quirks, such as the animation speeds, about the new version that annoy. Still, we can’t very well go back to iOS 6 – it looks too dated now that the world has gone flat. OS X Mavericks, on the other hand, contained mostly under-the-hood improvements for performance and speed. The most revolutionary thing about the update was that Apple made it free. While the decision was a generous one, Mavericks’s feature set was light enough that users might have complained if they’d had to pay for it. Apple also made Keynote, Pages, Numbers, iPhone, iMovie and Garageband free for new iOS device and Mac owners this fall. Apple is leaving cats behind and taking OS X into a new decade of development with its new naming scheme, which draws on famous locations in California. Notable new features in OS X 10.9 include standalone iBooks and Maps apps, a much-needed update to Finder and the option to use an Apple TV-connected display as an extended desktop. 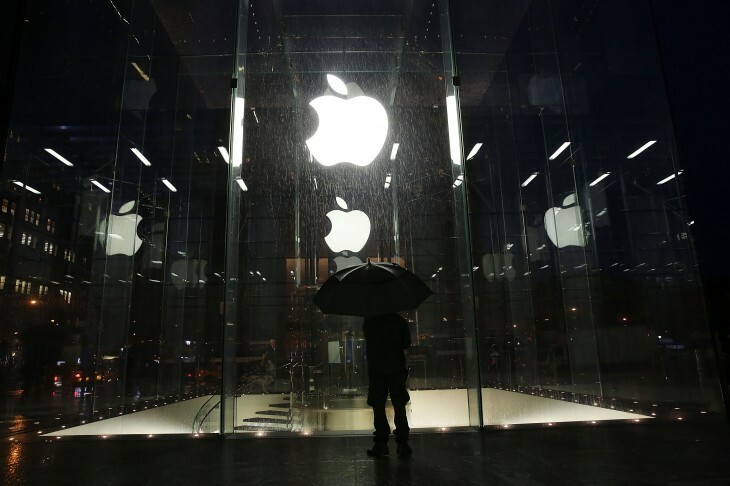 Apple revealed at the end of its 2013 fiscal year that it had made 15 strategic acquisitions during the period. While some of those are likely to have taken place in the 2012 calendar year, the fact remains that 2013 was Apple’s most acquisitive year ever. That compares against the five known acquisitions from fiscal 2012. While Apple hasn’t disclosed all of its deals, a number of them have come to light. Mapping companies were the main theme of Apple’s acquisitions as the company worked to dig itself out of the hole it made last year. 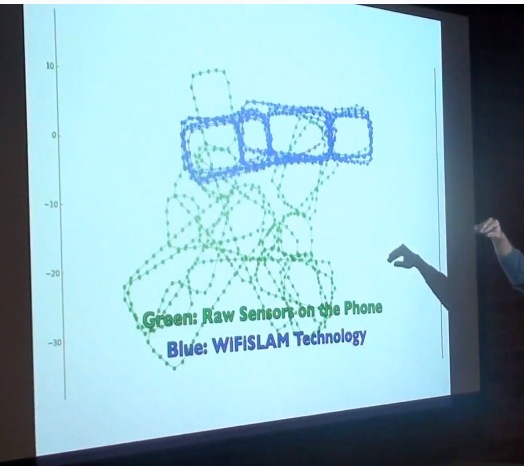 WiFiSLAM focuses on indoor location technology. Locationary specialized in crowdsourced local business data. HopStop developed transit direction apps for cities, as did Embark. BroadMap is another location startup that Apple quietly acquired earlier this year. Outside of mapping, Apple also demonstrated interest in 3D sensors (Primesense), processors (Passif Semiconductor), social data (Topsy), personal search (Cue), mobile data compression (AlgoTrim), note-taking (Catch) and video recommendations (Matcha). Considering that Apple has amassed nearly $150 billion in cash, it’s reasonable to expect these types of acquisitions to continue into 2014. The number of industries Apple is active in has grown considerably as the company developers new products and services, as have the need for new acquisitions to quickly patch up any operational holes and pick up talent. Apple stock dipped below $400 in the middle of the year only to climb back up in the last few months of 2013. As of December 23, shares are up 7 percent year-to-date to $570. While its financials remain solid, investors appear concerned over the long-term prospects of the iPhone and the iPad, which have become the company’s largest revenue generators. The arrival of the iPhone on China Mobile, the world’s largest operator, should give a nice boost in sales, but only a fraction of the carrier’s 740 million subscribers will be able to afford the phone. The first quarter of Apple’s calendar 2013 (fiscal Q2) saw $43.6 billion in revenue and $9.5 billion in profit. The company recorded $35.3 billion and $6.9 billion in the July quarter. Most recently, Apple posted $37.5 billion revenue and $7.5 billion profit for the third quarter of calendar 2013. The final quarter of calendar 2013 should be the year’s biggest since it will include the first full quarter of iPhone 5s and iPhone 5c sales, two months of iPad Air and iPad mini sales and the holiday shopping season. 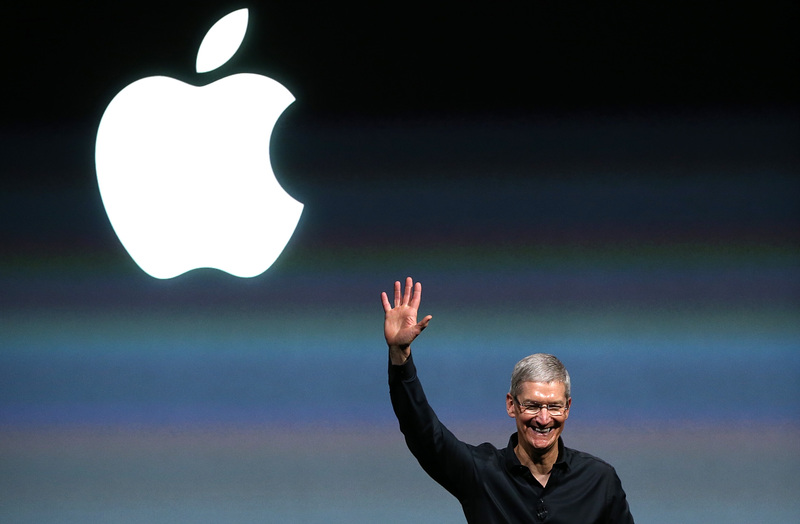 Apple CEO Tim Cook recently shared his reflections on the year with his fellow employees. He took the time to highlight Apple’s accomplishments in 2013 while also teasing that the firm has “big plans” for 2014. We’ll go into what to expect from Apple next year in a later post, but it’s worth taking a brief look at Cook’s own retrospective. Under the late Steve Jobs, Apple was a product-obsessed company. Cook has broadened his mandate to incorporate his own priorities. “Together we’ve shown the world that innovation at Apple goes beyond our products to the way we do business and how we give back to our community,” he reportedly wrote. In addition to corporate giving, Cook mentioned Apple’s efforts to accomplish workplace equality and environmental progress. Cook has in the past pointed to Apple’s employee charity donation program as evidence that he’s steering the company in his own way and not just in Jobs’ legacy. In fact, Cook revealed at AllThingsD that Jobs himself had told him to “just do what’s right” instead of asking what he would have done. As Apple exits 2013, Cook’s efforts to focus doing the right things are starting to become clear. Even so, this year felt very much like a gestational period for the company while it works on new product categories that extend beyond just iterating on its existing offerings. With large cash reserves and its best product lineup yet, Apple’s currently in a healthy position, but the world is waiting to see whether Cook’s “big plans” for 2014 will include a breakthrough device like Jobs achieved with the Mac, iPod, iPhone and iPad.